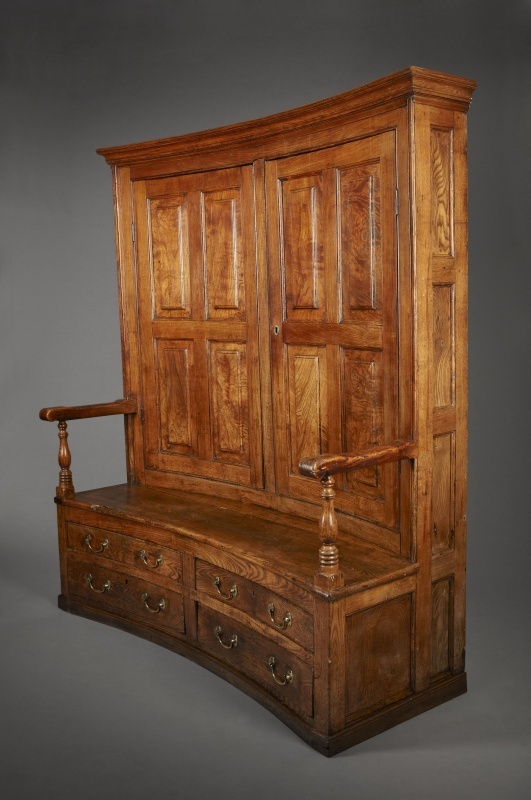 Wonderful and rare curved back bacon settle (Setl i ddal cig moch), with front opening cupboards which are fitted with shelves and have remains of wrought iron hooks which were used to hang sides of bacon. This settle probably originally stood in the middle of a room at right angles to the fireplace and with its back to the door, offering protection from drafts and useful storage as well as a comfortable seat. Made from beautifully figured timber.